This classic Buck knife is essentially the Buck 110’s bigger brother in fixed blade form, which is reason enough for it to make our best knife list. Back in the day, Hoyt and Al Buck built these knives by hand in their original shop, and they’re still made in America today. This heavy-duty fixed blade knife is the perfect size for big game hunting and skinning. 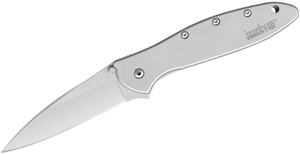 Even better, the Buck 119 is an extremely affordable knife. 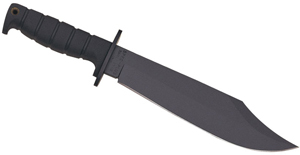 You’ll have a hard time finding a better USA-made fixed blade for the money. If the Buck 110 is the standard to which old school Buck knives are held, the Vantage Pro is the face of the new school. This knife offers great features like an ambidextrous flipper and comes equipped with high quality S30V blade steel and machined G10 handle scales. This modern folding knife boasts great ergonomics, and the deep-carry clip makes it a great EDC knife option that will practically disappear in your pocket. In our opinion, the Vantage is one of the best everyday carry knives available on the market. The Buck 301 is a shining example of a Stockman slipjoint, which is undoubtedly one of the greatest pocket knife designs of all time. 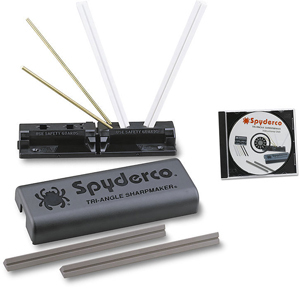 If you’re looking for versatility, you’ve found it – the three distinctive blades (clip point, spey, and sheepsfoot) ensure you have the right tool for just about any job. These blades feature Buck’s famously capable 420HC steel. For those out there turning up their nose at 420HC, Buck is known for getting more out of that steel than any other knife company thanks to the heat treat protocol developed by the late Paul Bos. These blades are put through a very rigorous heat treat process and quality performance testing, then they’re tempered using a unique heating and freezing system. The Rosewood Dymondwood handle scales offer a stunning contrast to the brass bolsters, which gives this EDC knife both function and finesse. Buck’s collaboration with TOPS Knives is unlike any knife Buck has ever produced before. 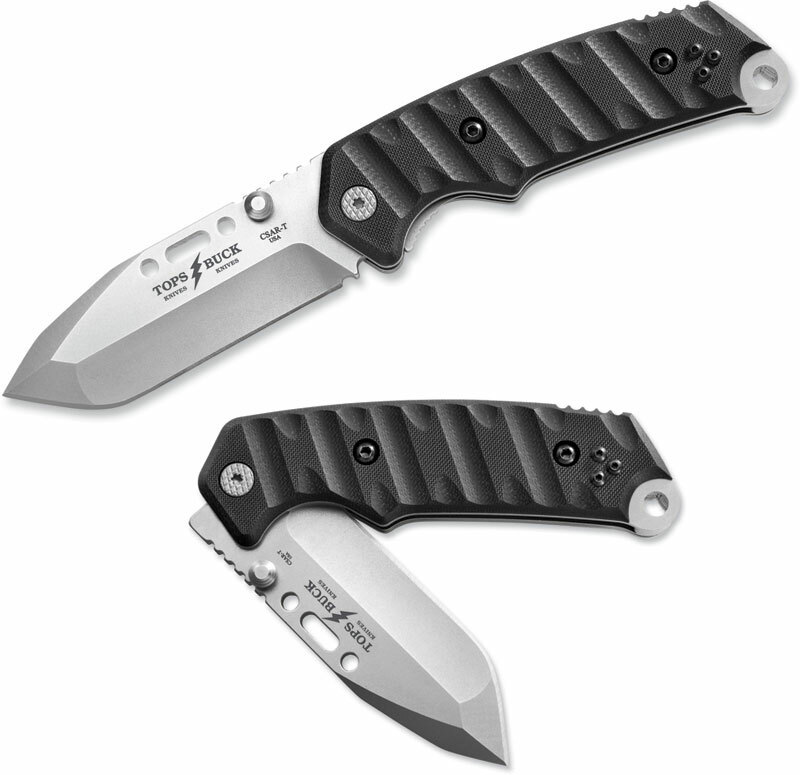 The CSAR-T is a rugged tactical folding knife with a solid 154CM steel blade. The compound grinds provide a reinforced tip to protect against chipping or breaking when using the knife to puncture. This combat knife’s liner lock and milled G10 handle ensure a solid build that’s as durable as they come. We always love seeing two great knife brands come together to bring us products we’re proud to sell, which describes the CSAR-T to a T. This is a great hard use knife that is ready to take on any task. Buck Knives is a staple of the knife community. It’s not just their history that has earned them a reputation as one of the best knife brands of all time, it’s also their continued drive to produce reliable knives and tools that put performance first. 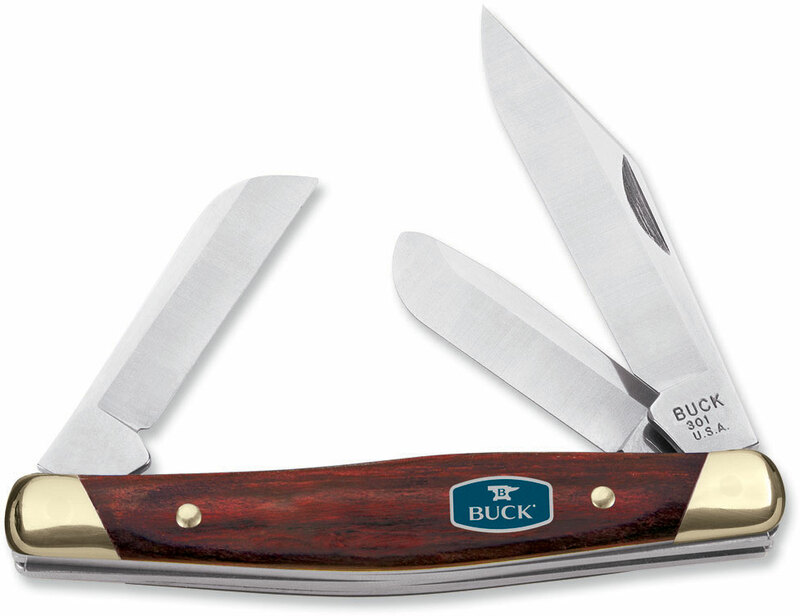 As Buck says themselves, “behind every Buck knife is over 110 years of experience and craftsmanship.” Our top five best Buck knives list perfectly represents their efforts – who agrees? Can you think of a better Buck knife that should have made our top five? We’re skeptical, but we still want to see what you come up with. Let us know over on our Instagram, Facebook, and Twitter!